Today, main events of Somanomaoi Festival were held in Minamisoma City. I also visited some historic sites in the City. 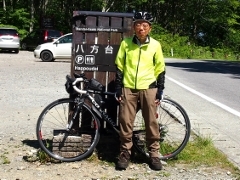 First I visited Daihisan Stone Buddha statues. 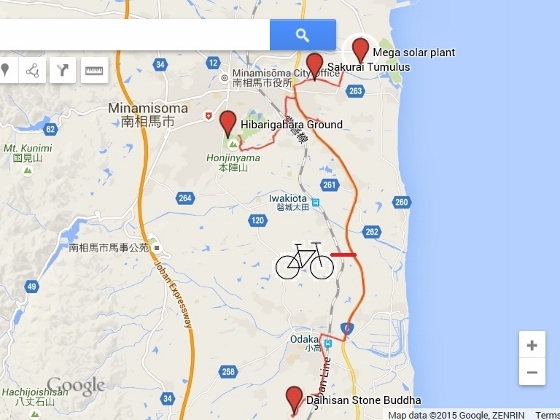 This site is located in Odaka District of the City. Though it is still within the evacuation area, any residents and travelers can visit the site in the daytime. The site had been designated as National Historic Site. 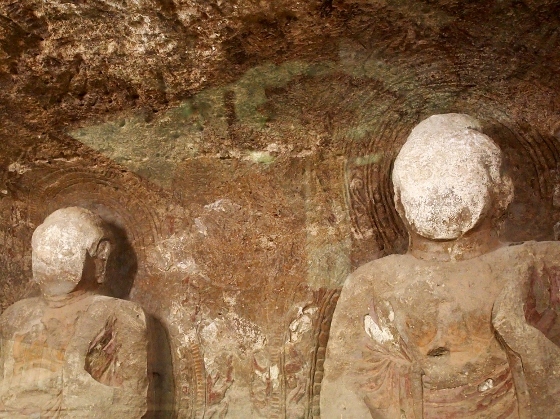 Daihisan Stone Buddha statues are said to be more than 1000 years old. Some of them are shown above. The site is also maintained as a public park as shown above. 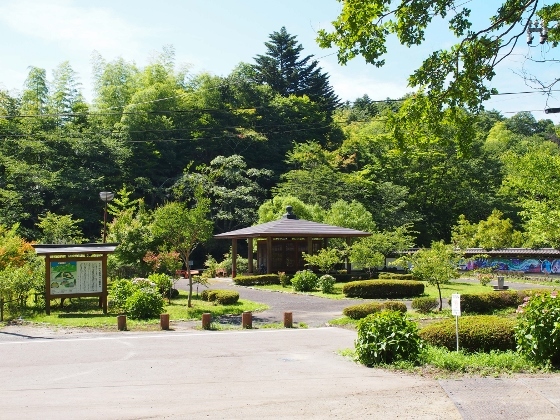 The surrounding area is very beautiful with rich green. Then I went to see the main events of Somanomaoi Festival at Hibarigahara Ground. The first event from noon was horse racing with armored soldiers and their own family flags mounted as shown above. You can also watch a short footage above in order to feel the atmosphere of the race. 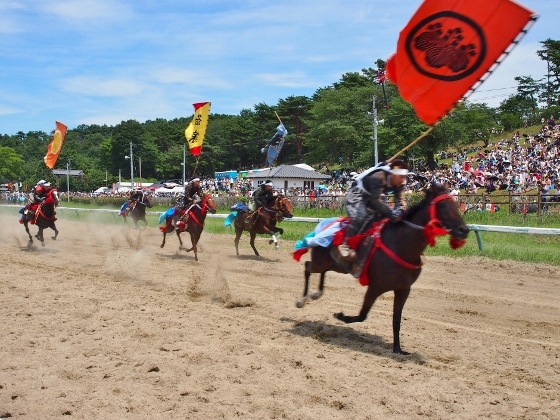 The second event was races by mounted soldiers to get shrine flags from the sky. This event is called Shinkisodatsusen. Above picture shows a scene. 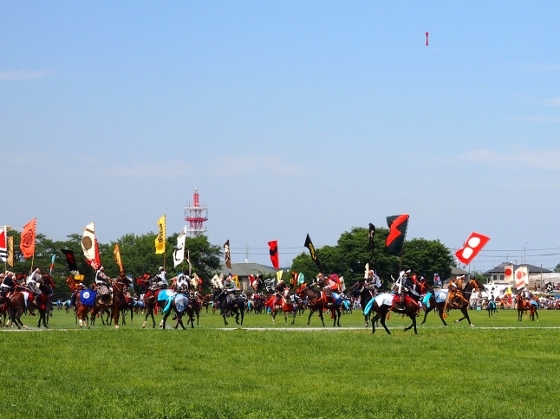 The Somanomaoi Festival is held for three consecutive days in late July. During the events you happen to meet many horses on the road in the city such as shown above. 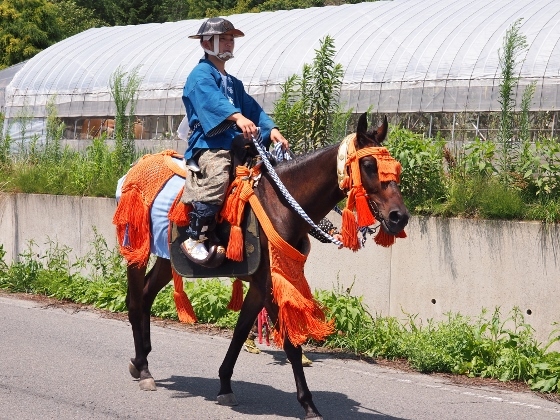 A number of citizens join the festival with their own horses dressed in colorful cloths. Finally, I visited another historic site of the city which was Sakurai Tumulus from 4th century. 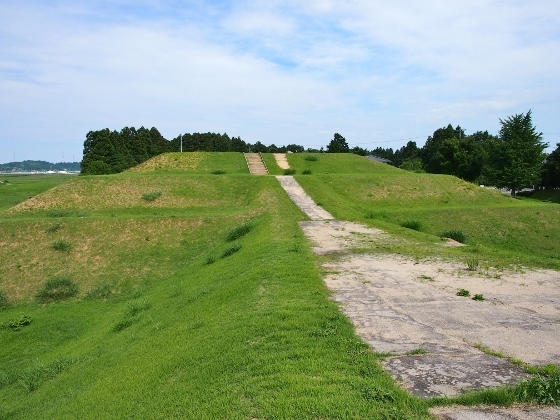 It is a front square back square type tumulus similar to Oyasuba Tumulus in Koriyama City. This site is also a National Historic Site. 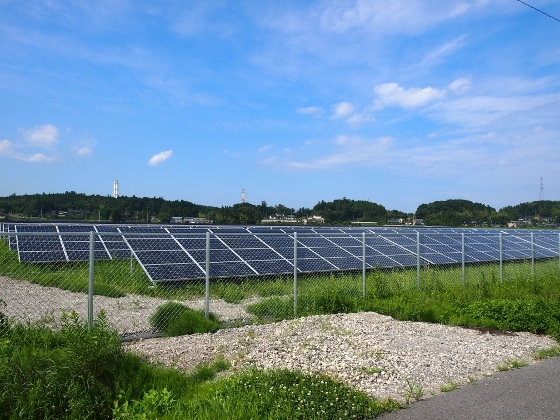 Moving a little ahead of the tumulus site I found some mega solar power plants. Above photo shows one of them.